Cypress Cottage is a marsh front, 4 bedroom, 2 bath home overlooking the northern end of the Murrells Inlet Marsh. It is located a block from the beach boasting of convenience, privacy and exceptional views throughout the day. The main living area offers a large centrally located family room with plenty of natural light and seating. To the left of the living area, there are two large bedrooms sharing a full bath and on the right side, you will find a fully equipped kitchen with breakfast nook, a dining area and a half bath. Just up the stairs, there are 2 spacious bedrooms sharing a full bath in the hallway completing the floor plan. The front porch opens into the main living area of the cottage and provides extended living and welcomes friends and guest as they arrive. At the back of the home, there is an open deck with an outside shower offering a great place to sit and enjoy the view or bask in the sun! The deck also provides access to the living area and an adjoining deck with a pergola offering R & R throughout the day and easy access to the dining area. Your backyard and decks will become your favorite spots. 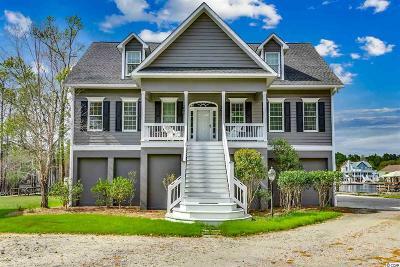 Whether you find a private place to relax and enjoy the marsh views or share it with others while hosting a barbecue, picnic or outdoor games, you will discover there is privacy and plenty of room for all. 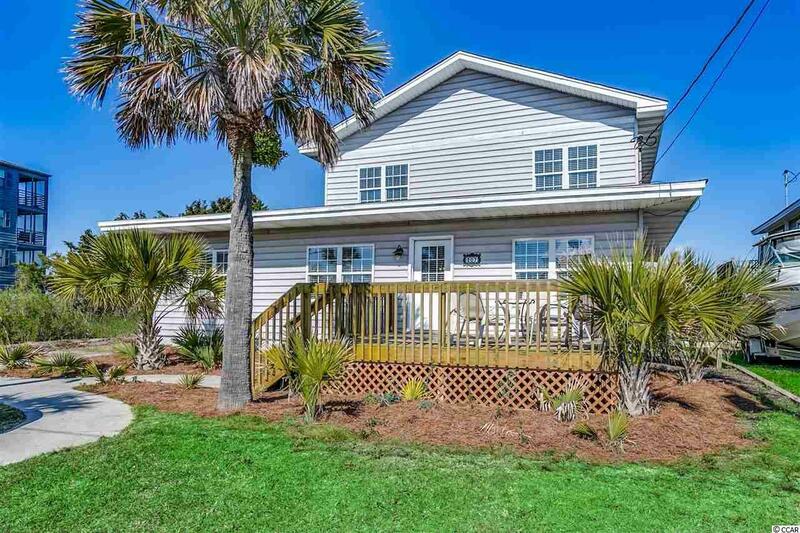 Everything is in walking distance of the property; the beach, the Garden City Pier, arcades, Sam's Corner, gift shops, ice cream, restaurants and gift shops. Cypress Cottage sells fully furnished and can be used as a permanent residence, vacation rental or second home. Start making plans to enjoy the summer of 2019 in your mashfront cottage. Call to see it today! Directions: From Business 17 In Garden City Beach, Turn Onto Atlantic Avenue Toward The Beach. Just Past The Marsh Take The 1st Left Onto N. Dogwood Drive. 207 N Dogwood Dr. Will Be On Your Left. Please See For Sale Sign In The Yard.